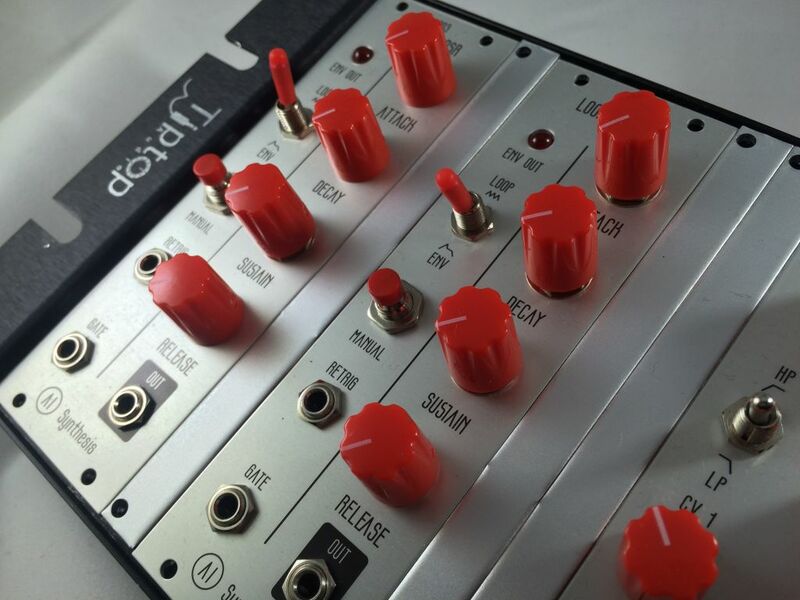 Our AI003 Looping ADSR is now available. While the company is primarily aimed at teaching DIY, we DO sell built modules as well with a limited 1 year warranty (but you can get it as a PCB, PCB+Panel, or Full Kit too). It's a really cool (and surprisingly simple) design we adapted from the wonderful Nicolas from the Electro Music Forums (with his permission of course). 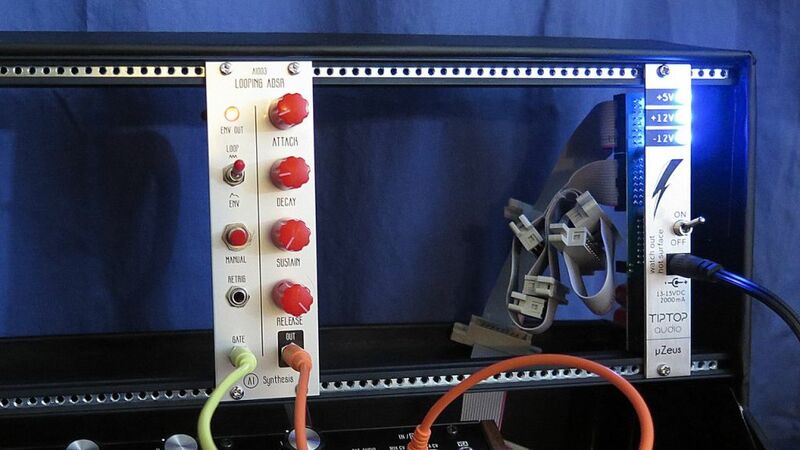 Using only two analog ICs, and some clever diode switching, you get an ADSR or a variable waveshape Saw-Tri-Ramp LFO. The panel was designed by Grayscale, uses no wiring, and, as with all of our modules, there is a full video how-to build guide if you go DIY. I l o v e that font. ha, beat me to it - nice type! High praise from you. FRACT is awesome! I didn't even notice the font. It is lovely. I'm currently building one of these right now. AI Synthesis is good stuff. ModularAddict and SynthCube both carry my stuff, and will have these in stock shortly. Their international shipping is cheaper than mine. I'm also working with other retailers to get my stuff in more countries. If you sign up to the mailing list on aisynthesis.com, there should be an update in December regarding retailers that carry our stuff (in addition to updates on upcoming modules). A number of other retailers also expressed interest, so we should be available in more locations soon. Hooked it up to my Microbrute and it seems to be working perfectly! Me too, couple weeks ago! 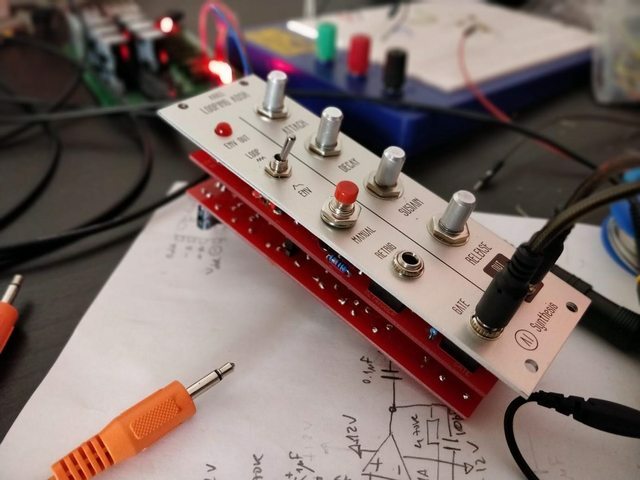 First Eurorack module I've built. Just found the site for this module and others. I foresee a lot of red knobs in my future.